I didn't set out to buy this, but I'm a sucker for a 3 for 2 and I was a product short. Given that I had squeezed the last tiny bits of life from my tube of Porefessional, there was a primer shaped hole in my makeup bag and so it made sense to grab one. I haven't bought anything from the Infallible range before, but I picked this up after some initial swatching at the beauty counter showed that it outperformed its competitors. 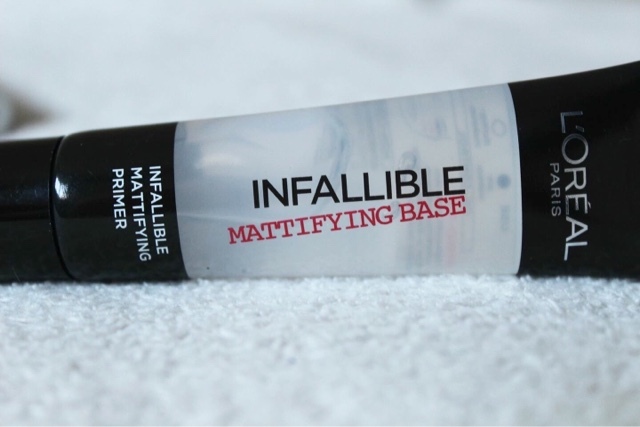 The L'Oreal Infallible Mattifying Primer is the brands first priming base that one in the form of a gel. And what are its claims? It's designed to minimise pores and imperfections, while its mattifying properties reduces shine. 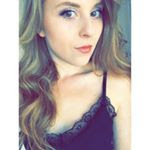 I much prefer primers that give a matte effect; I've tried illuminating primers in the past and while they do brighten the skin, they can also make your face look greasy. The L'Oreal primer is super smooth, and just glided onto my skin. It has a really handy nozzle, making it easy to squeeze out the right amount and not overuse. The clear gel blended into my skin well, and I only used about a pea sized amount to cover my problem areas. You're advised that less is more, and I think that's certainly the case. To my delight my skin wasn't greasy, but smooth and the primer felt really light on my skin. I had a good even base for my foundation, ultimately improving its coverage and specifically making my pores much less glaringly obvious. Since using the primer, my makeup has worn much better throughout the day. I have a midday test; if by the time I look in the mirror on my lunch break it looks like it was a waste of time bothering to get up early cos my makeup has all but disappeared - we're on to a loser. It wasn't the case for this product though. My current foundation lasts pretty well anyway, but the primer definitely helped to prolong it that bit more. What was most impressive about this primer was how it compares to high end products. I've been a big fan of Benefit's Porefessional for some time now, but this one is the perfect high street equivalent. It removes even the hint of a greasy T Zone, reducing the need for powder. The L'Oreal Infallible Primer retails at £7.99, which I think is very reasonable considering how well it performs against its higher end counterparts. It's a winning formula, and you really don't need to use too much. Its clear packaging is also a bonus, as you can see how much you have left. That said, I've been using it daily for the last couple of weeks, and I haven't noticed it depleting at all. So would I buy it again? Definitely. Not only that, but I've been so impressed with it that I would also buy the Infallible Foundation. If the primer is this good, the foundation must be pretty great too. Have you tried the Infallible range? Let me know how you rate them and if you've tried the foundation in the comments below.